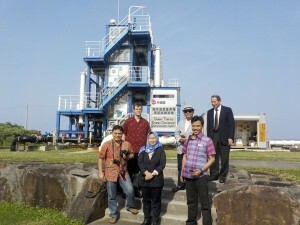 At the end of March 2016 a delegation from the Republic of Indonesia Coordinating Ministry for Maritime and Resources Affairs visited Kumejima as they sought to learn more about Ocean Thermal Energy Conversion, Deep Seawater Use, and the potential for applying such technologies in Indonesia. With Indonesia’s proximity to deep seawater, warm surface seawater, large population, and numerous communities still lacking secure access to power and water, Indonesia has perhaps the largest potential for use of this clean and renewable technology in the world. For more see the full post on Alohaisai.